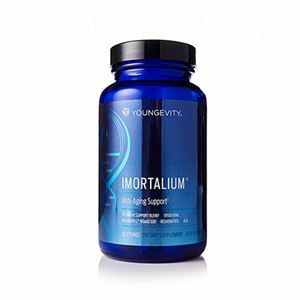 Imortalium® is the most advanced anti-aging supplement to date that nutritionally helps extend the lifespan of telomeres; the biological clocks found in almost every cell. 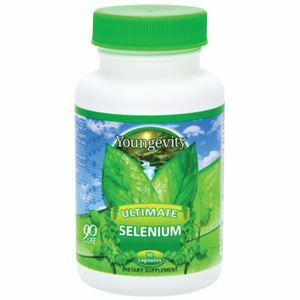 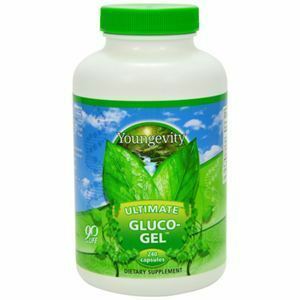 The cutting-edge, bi-layered tablets allow anti-aging nutrients to be released both rapidly and slowly for maximum exposure to antioxidant enzymes, and essential nutrients that support optimal telomere health. 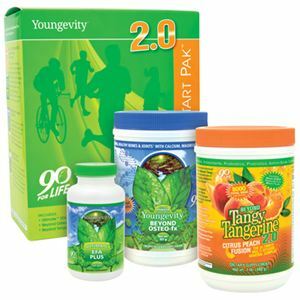 Imortalium® is a Registered Trademark of Youngevity International, Inc.
Vitamin A, Vitamin C, Vitamin D3, Vitamin E, Vitamin K, Vitamin B6, Zinc, Copper, MSM, Alpha-Lipoic Acid, Telomere Support Blend, Trans Resveratrol, Full Spectrum Whole Food Blend, Fucoidan-Rich Algae Blend, Regeneryll™ Brand SOD, Skin-Rejuvenating Whole Food Blend, Skin Defense Carotenoid Blend, Microcrystalline cellulose, hydroxypropyl methylcellulose, stearic acid, vegetable cellulose, magnesium stearate, di-calcium phosphate, acacia gum, silica, pharmaceutical glaze.